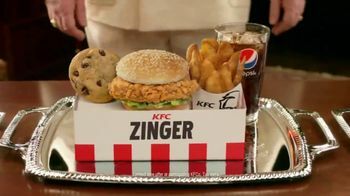 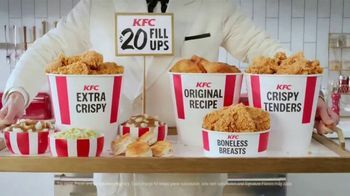 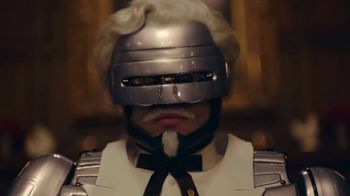 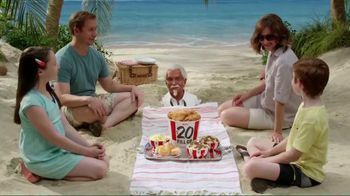 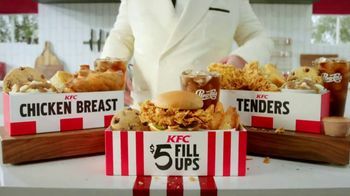 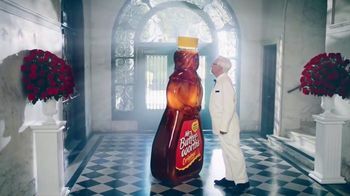 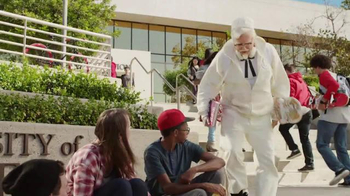 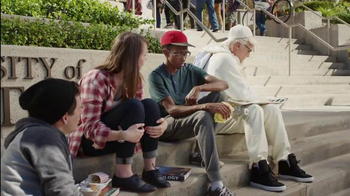 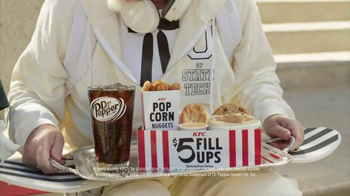 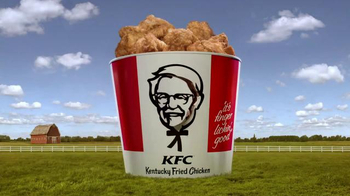 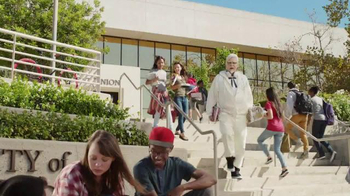 Saturday Night Live alumnus Norm Macdonald pulls off the white suit (or, pants and hoodie in this case), white wig and black frames as Colonel Sanders in this KFC commercial. 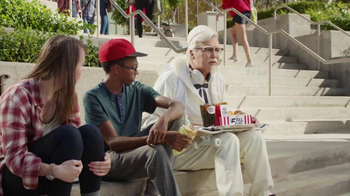 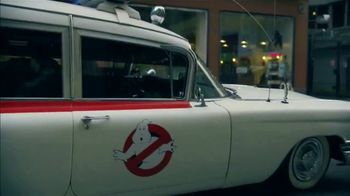 He tries to blend into the university crowd as he speaks with a group of rather confused students about how he always feels better after a tough class when he eats a $5 Fill Up. 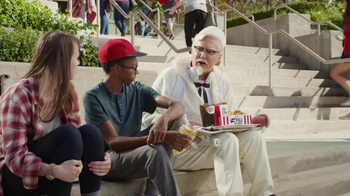 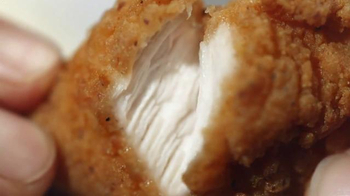 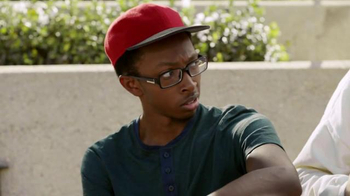 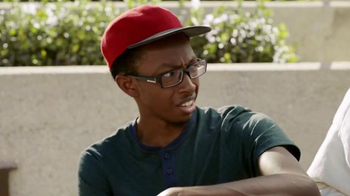 When one of the guys asks the KFC spokesperson if he's Colonel Sanders, he slyly replies no, he's just your average college student.